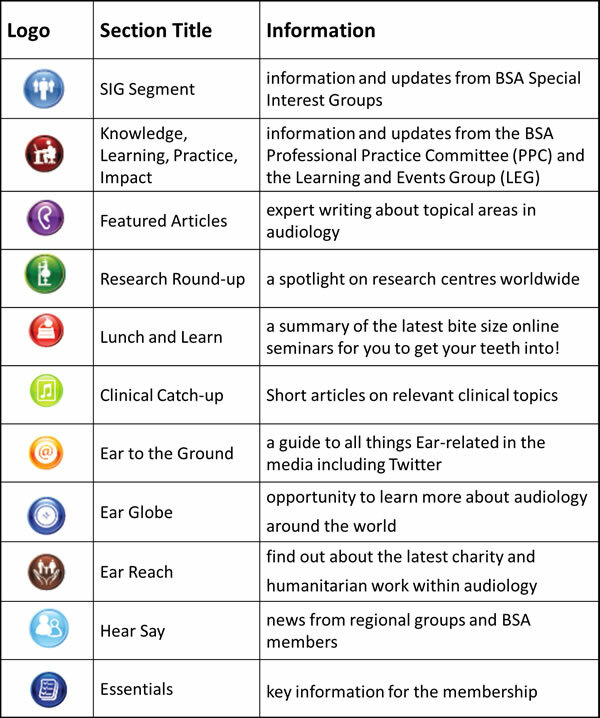 No single issue of Audacity can include all aspects of audiology although many of the apparently different fields can often interlink and overlap. Each edition may have a slightly different emphasis but our aim is that Audacity is a publication for the whole membership of the BSA. We welcome feedback and suggestions for articles or sections that you would like to see included. If you would like to be a guest editor for a particular section or be involved in the editorial team then please let us know.